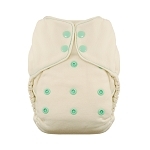 These 100% cotton twill weave unbleached prefold cloth diapers are soft, durable, and very absorbent. Please note that prefolds take several wash/dry cycles to reach full absorbancy and they will shrink 5-10%. 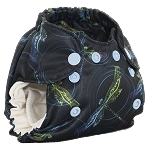 These are Traditional Fit infant-sized prefolds – meaning they are sized to wrap around your 7-15 lbs baby and fasten with pins, a Snappi, or other fastener. 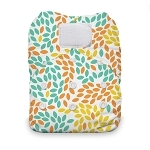 Once your baby has outgrown this use, they can be trifolded and laid inside of a cover or stuffed in a pocket. Sold in packs of 6.